This is a recipe I used to make a lot. It fell by the wayside for a few years, but we’ve resurrected it this year. 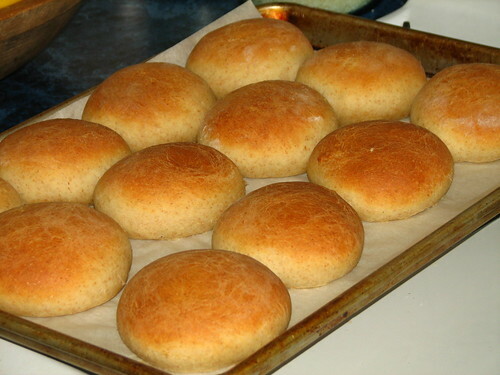 It makes wonderful soft rolls, as well as buns that are great for sandwiches. It makes 48 rolls, or three loaves (we rarely make loaves anymore), or 24 rolls and 12 sandwich buns (which is the way we make it these days). 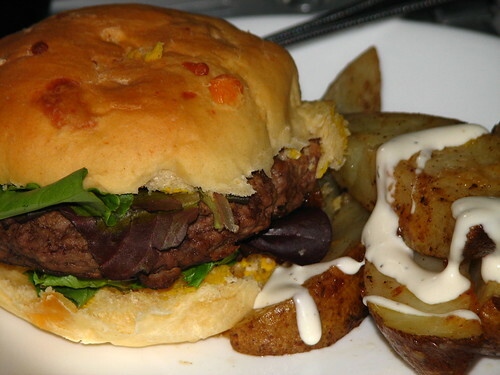 The sandwich buns are great for hamburgers, sliced meat sandwiches, chicken salad sandwiches, etc. We like them for taking sandwiches on car trips. The bread holds together well, stays soft and moist and packs well. After everything is incorporated, knead the dough for six minutes. Then, place the dough into a large oiled bowl, flip the dough to coat it with oil to keep it from drying out, cover with a dishcloth and allow to rise until doubled in size. About 45-60 minutes. 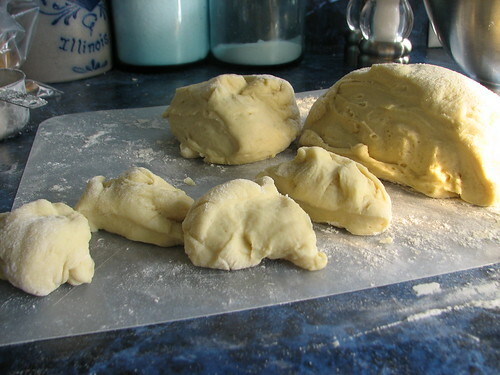 Punch the dough down, shape into rolls, buns, or loaves and allow to rise again. Bake rolls and buns at 375* for 13 minutes. Loaves for 25-30 minutes. If you have an instant read thermometer, the loaf is done when the internal temperature is 195*. 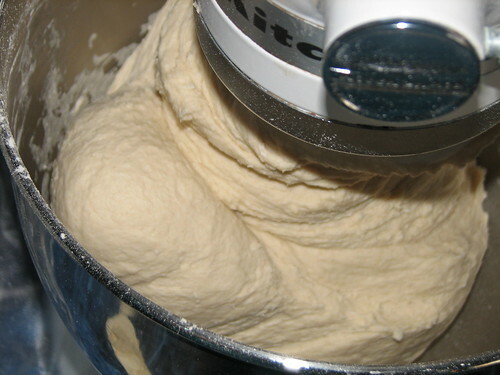 I use a dough hook and do all the kneading in the mixer. When DH makes this recipe, he kneads the dough by hand. You can add cheese, herbs, etc., to the dough near the end of kneading. This is a great addition for making flavored breads (rosemary is wonderful!) or hamburger buns (love cheese in these). I hope you give the recipe a try. Let me know if you do. I’d love to have your feedback. This entry was written by ~~Rhonda, posted on July 11, 2011 at 1:39 pm, filed under cooking, Recipes. Bookmark the permalink. Follow any comments here with the RSS feed for this post. Post a comment or leave a trackback: Trackback URL. Your rolls look so good! I am eager to try your recipe — thanks for sharing. I must try these with my new KitchenAid mixer. It seems like a monster after my old smaller Oster. I can’t wait to try these,I bake buns all the time and this recipe sounds interesting. I love bread too much already! It would be so good with the church’s apple butter. Also the book pages wreath is gorgeous. It’s your special creative fingers that works the beauty.